THANK YOU for your outpouring of support to make all the pieces of this amazing event a reality! 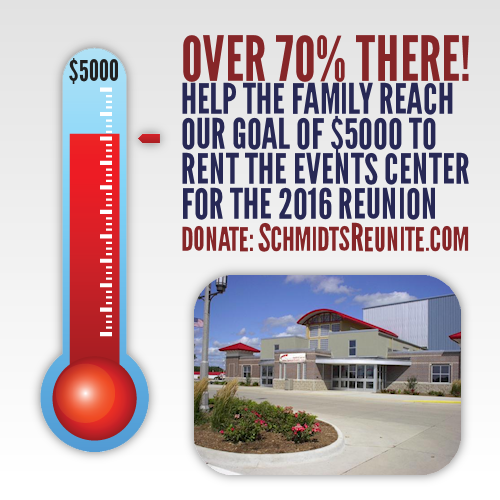 Can we raise $1300 more this week to fund the rental of the Events Center, seating, stage, audiovisual equipment, etc.? If you haven’t yet donated, now is the time! If you’ve already donated, please ask your siblings and cousins to donate also!